Parenting is hard. (Like, hella hard.) Sure, it can be an amazing adventure full of joy and laughter, but it's also often frustrating and exhausting. Most things do not go as planned — and sometimes they even end in tears. 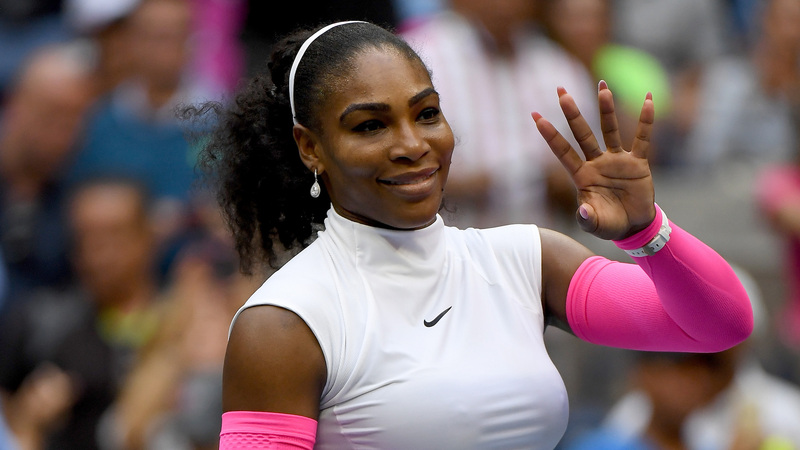 The latter is something even supermom Serena Williams can attest to; the tennis champion recently took to Instagram to share a very real — and very relatable — parenting story. "Kids humble us," Williams' wrote. "The other day on a flight home, Olympia had so much energy and insisted on running up and down the aisle. When I finally got her to calm down and sit still, she threw up all over me and in the aisle." Williams went on to say that "#ThisMama wants to remind all mothers the importance of supporting one another through the highs, lows, laughs and tears." She then encouraged other parents to share their own struggles and stories using the #ThisMama hashtag — and boy, did they. In fact, in the last 18 hours, #ThisMama has been tweeted and 'grammed thousands of times. Of course, this isn't the first time Williams' has gotten real about motherhood. In January 2018, Williams discussed her difficult delivery (and recovery) with Vogue, and on Aug. 6, Williams' shared her struggles with postpartum emotions on Instagram: "Last week was not easy for me. Not only was I accepting some tough personal stuff, but I just was in a funk. Mostly, I felt like I was not a good mom." Last week was not easy for me. Not only was I accepting some tough personal stuff, but I just was in a funk. Mostly, I felt like I was not a good mom. I read several articles that said postpartum emotions can last up to 3 years if not dealt with. I like communication best. Talking things through with my mom, my sisters, my friends let me know that my feelings are totally normal. It’s totally normal to feel like I’m not doing enough for my baby. We have all been there. I work a lot, I train, and I’m trying to be the best athlete I can be. However, that means although I have been with her every day of her life, I’m not around as much as I would like to be. Most of you moms deal with the same thing. Whether stay-at-home or working, finding that balance with kids is a true art. You are the true heroes. I’m here to say: if you are having a rough day or week–it’s ok–I am, too!!! There’s always tomm! But if we all keep talking about parenting — the real, unglamorous and (yes) stressful parts of it — maybe we will all feel a little better. Maybe we will all feel a little lighter, and maybe, just maybe, we will all feel a little less alone. As for Williams? She seems to be taking it all in stride — and she'll begin her journey for a seventh U.S. Open trophy tonight when she takes on Magda Linette of Poland.